Age gracefully, they say. While I tend to agree with this sentiment, I’m also a firm believer in prevention. A little time and money today can significantly suspend sagging knees and spotted hands. Start young and stay young, I say. Here, five areas of your face and body that tell your true age — and the treatments and creams that can halt the aging process. 1. Mouth – Do you drink your coffee out of an adult sippy cup? And your Vodka sodas out of a straw? Do you smoke (GASP!) cigarettes? Think about doing this action daily (or many times a day) — and what the pursing of your lips like such does to the sensitive area around your mouth… that’s right, it produces fine lines. Prevention: Stop smoking… now. Try drinking coffee and other beverages from the rim, not a straw or a small opening in a cup. And, of course, there’s a cream to fix that too. First and foremost, you want to keep the area hydrated. Hydration is like cryptonite to fine lines and wrinkles. Try Peter Thomas Roth’s Un-wrinkle Lip Treatment packed with active antiaging peptides and neuropeptides to bring volume and hydration to the area. You can also use a drop of eye cream for the delicate area around your mouth but, be advised, unlike the area around your eyes, your mouth does have pores and it is possible to breakout if you are prone to pimples. 2. Hands – Hands often show your authentic age, even if your face looks years younger. Why? Because hands are almost always left vulnerable and unprotected to the sun – on a daily basis – and sun is the number one cause of aging, spots and lines. Prevention: Wear sunscreen on the tops of your hands – everyday. And remember to hydrate as much as possible. Lotion morning, noon and night will help (carry it in your Proenza – even the PS11 Mini has room for a tube of lotion). 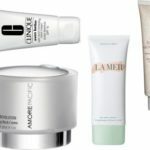 In fact, try a multitasking product like Clinique’s Even Better Dark Spot Correcting Hand Cream Broad Spectrum SPF 15 which will both moisturize and protect. I always rub the remainder of my daily facial sunscreen on the top of my hands – get in the habit and save face (or rather, hands). 3. Neck – In the words of the late, great Nora Ephron, “I feel bad about my neck” (the title of her fiercely honest and witty book). Like your hands, your neck tends to show signs of aging rather quickly because most women forget to care properly for the area. Nothing says over 50 like a sagging neck. Although there are “neck lifts’ nowadays, who wants a doctor cutting into their throat for cosmetic reasons? Eeks. Prevention: There’s always a chic turtleneck – or scarf – think Nora and Diane Keaton. Or start young and take care of this delicate area. Use sunscreen daily (and religiously) because, like your face and hands, your neck tends to be exposed to daily sun time. Apply cream morning and evening, you can use the excess face cream and rub onto neck and chest. Massage the cream upwards and backwards, all the way around to the back of the neck. Make this habit. If you’re like me and you relish in a specific cream for every body tip, Amore Pacific’s Line Revolution Firming Neck Creme is a go-to for its moisturizing, firming, toning, and tightening properties. The calming scent is meant to aid in tranquil dreams, so there’s that too. 4. Elbows – How many times a day do you bend your elbows? While talking, eating, applying your moisturizer (ha! )… endless bending, endless times a day. And you can’t just not move your elbows because you fear wrinkles… but you can work toward preventing them! 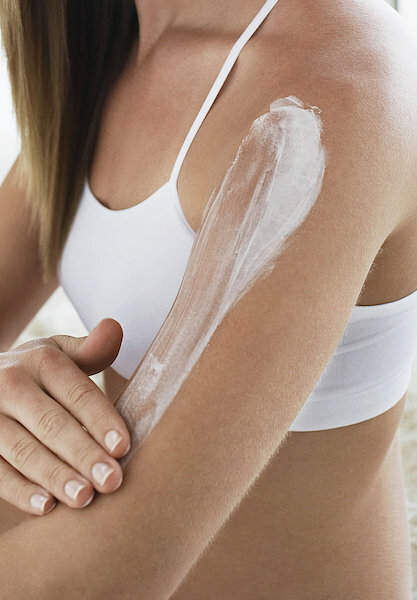 Prevention: Exfoliate every other day (at the very least) and focus on your elbows. They are full of dead skin so you’ll want to get rid of the rubble, so to speak. Try an anti-aging body exfoliator like La Mer The Body Refiner, and don’t be afraid to really scrub (sea salt mixed with coconut oil is an effective and easy DIYer). Next, hydrate – try to get in the habit of moisturizing your elbows morning and evening. You can also use an anti-aging face cream for this critical area (perhaps a cream that you’re not loving for your complexion, but that’s still packed with the right ingredients?). Otherwise, I’d suggest trying a product like Fresh’s Sugar Acai Age-Delay Body Cream with natural Alpha Hydroxy Acids that help to slough away dead skin while while sugar soothes and moisturizes. 5. Knees – Does anyone remember that photo of Demi Moore circa Ashton Kutcher days with the face of a twenty year old and the knees of a seventy year old? Sagging knees are a dead giveaway to age and, unfortunately, there aren’t many procedures available to reverse the effect. Prevention: Experts say that exercise can help the sagging effect, but there isn’t anything specifically designed to lift low-hung knee caps. So, again, it really comes down to prevention. Moisturize, moisturize, moisturize. And do it daily. You want to apply cream against gravity; in this case, from bottom to top. Gently massaging your knees for five minutes a day will help to keep the area lifted (like cellulite!). And while we’re on the topic of cellulite, I actually use the cellulite creams on my knees for their tightening and lifting effects (since they never seem to actually work on the dimpled areas). Try Nip + Fab Cellulite Fix – it’s under $20 and specifically lifts and tones. 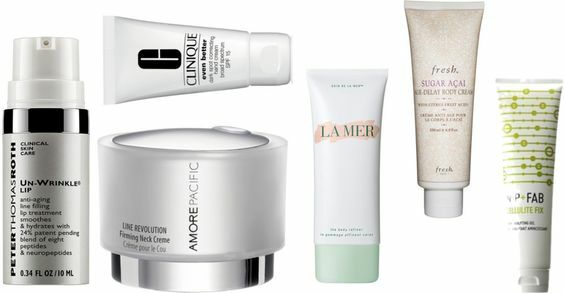 Try layering this over your everyday body moisturizer. Rosacea: 5 Things To Avoid This Summer + Gift Card Giveaway!